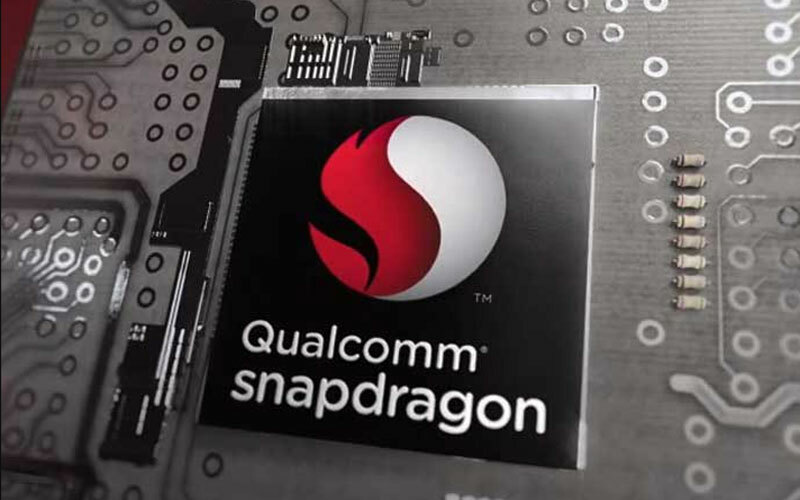 Qualcomm has announced the Snapdragon 670 chipset for mid-range smartphones which replaces the Snapdragon 660 used in devices like the Nokia 7 Plus and the Xiaomi Mi A2. The main feature of the new chipset is its AI capabilities. The Snapdragon 670 has an octa core processor in a 2+6 arrangement like the 710. Two cores clocked at 2Ghz are coupled with six energy-efficient cores that reach up to 1.75Ghz. This combination should allow the Snapdragon 670 to deliver up to 15 percent faster CPU performance than last year’s 660. 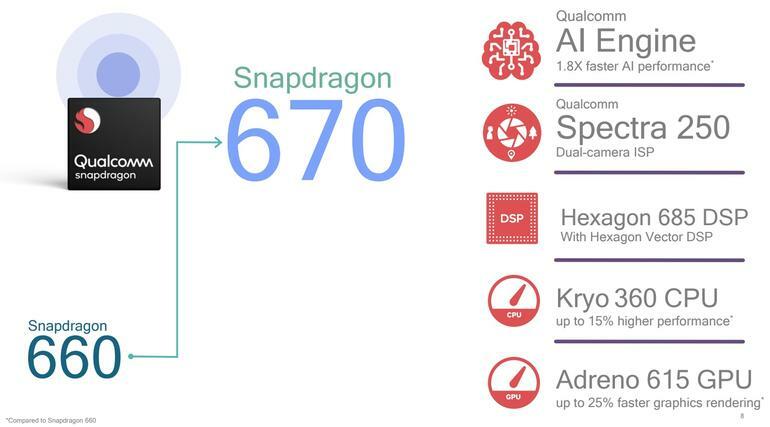 The Snapdragon 670 uses Qualcomm’s Kryo 360 CPU cores and a 10nm LPP manufacturing process to remain power efficient. Qualcomm includes the Adreno 615 GPU in the chipset which delivers up to 25 percent faster rendering than the Snapdragon 660. There is also support for full HD+ and 2,560 x 1,600 screens. 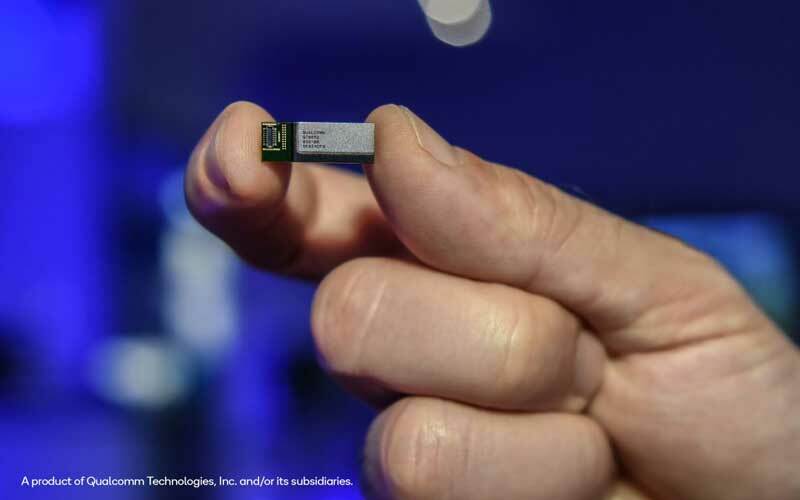 Using the power of the CPU, GPU, and the Hexagon 685 digital signal processor, Qualcomm run an AI engine which is said to offer 1.8 times the performance of the Snapdragon 660. Qualcomm says the improved AI smarts will deliver better photo quality thanks to “automated setting adjustments”, as well as improved voice recognition. The AI engine also supports machine learning frameworks such as Google’s TensorFlow. Qualcomm is making the advanced AI capabilities a huge selling point for the chipset. The 670 also includes Qualcomm’s X12 LTE modem and the Spectra 250 image signal processor. This should help the phones to reach download speeds up to 600Mbps and 150Mbps up. The image processor adds support for a 25MP single camera or two 16MP cameras while allowing for 4K video capture at 30 fps. The Snapdragon 670 will be able to use Qualcomm’s Aqstic and aptX audio tech, Quick Charge 4.0+, and Bluetooth 5.0. Qualcomm has reportedly started sending the Snapdragon 670 processor out to manufacturers and we expect to see phones using processor before the end of 2018.